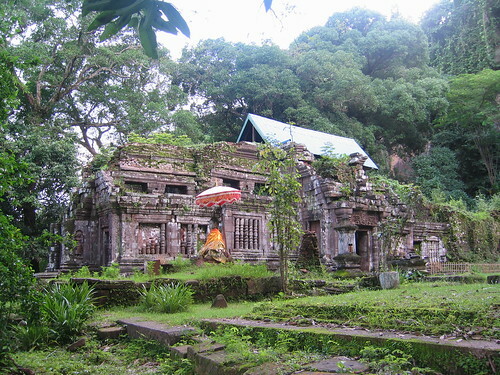 Wat Phu (Vat Phou) is the ruins of an ancient Khmer temple dating from the 11th to 13th centuries. 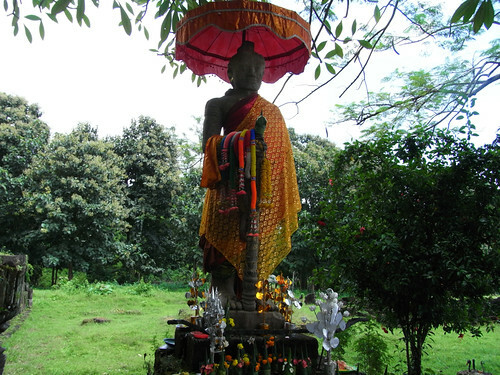 Situated at the base of Mount Phu Kao, the temple ruins is located on an earlier temple site dating back to the 5th century. Wat Phu is near the rural town of Champasak but you can stay in Pakse (offers better accommodation and conveniences) and make a day-trip to see the ruins. Wat Phu was once part of the Khmer Empire centering around Angkor in modern-day Cambodia. 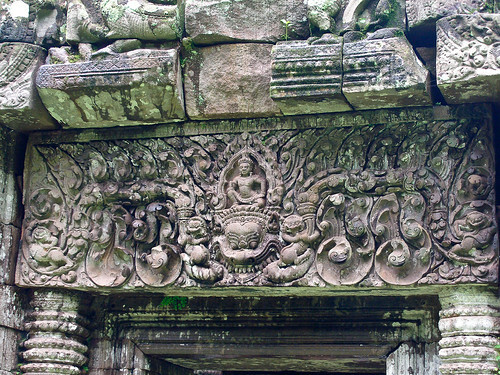 It was originally a Hindu temple dedicated to Shiva until the Khmer Empire converted to Theravada Buddhism. 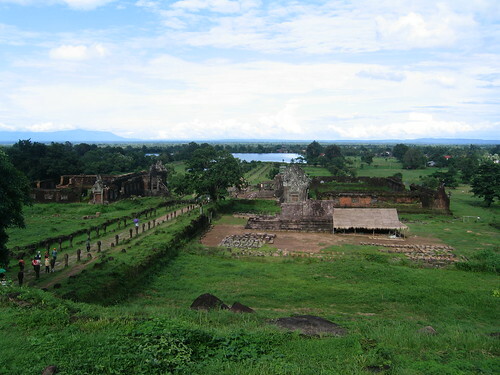 Wat Phu is one of the largest archeological sites in Laos and a fine example of Khmer culture. It is also one of the two UNESCO World Heritage Sites in Laos, the other being Luang Prabang. The temple suffered from the effects of the environment including water erosion through the centuries. As a result, plans are underway to preserved and restore the ruins from further deterioration. Unlike Angkor, Wat Phu does not receive daily visitors in the thousands and is relatively quiet. For most visitors, exploring the site in 2-4 hours is sufficient to appreciate its significance in Laotian history.